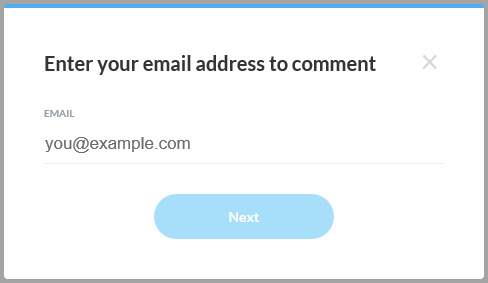 If you want to require reviewers to sign in with an account before they post comments, you can do that too. 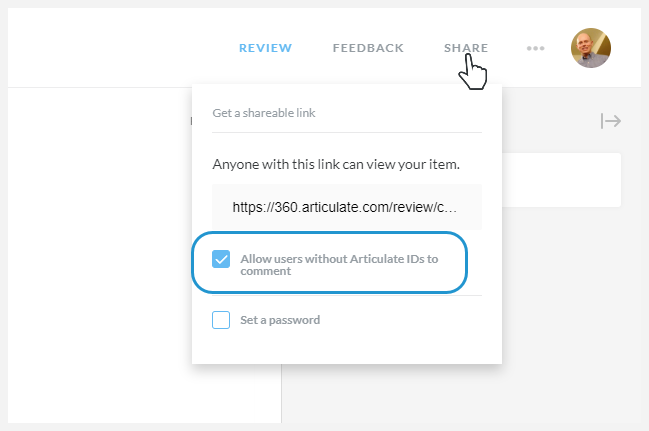 Open your project in Review 360, click the Share tab in the upper right corner of the screen, and uncheck the box to Allow users without Articulate IDs to comment. Then copy the shareable link and send it to your reviewers. If they don't already have Articulate IDs, they can create one here. It's free.